A lot of people in our field now advocate approaches that find religion either in unexpected or overlooked places. What once might have been called the implicit religion movement, at least as once associated with the work of the late Ed Bailey, has now been joined by the more-or-less related lived religion, material religion, religion on the ground, as well as the embodied religion approaches, all of which aim to identify religion in places where scholars, who have long been preoccupied with reading texts (and thereby studying what some of our literate predecessors left behind), have not found it before, often due to some sort of scholarly bias. For, as anthropologists started to learn a few generations ago, you really can’t just walk into a group and only talk to the men who seem to be in charge (a crucial lesson still being learned by researchers, as evidenced by this recent radio story); so too, advocates of the above-mentioned scholarly traditions now work to find religion not just in the familiar scriptures and rituals but in the seemingly mundane aspects of ordinary people’s everyday lives (a shift that seems influenced by the earlier social history movement among historians). As important as such a shift is — and indeed it is, as a way of pushing back against too narrowly focusing on only certain people and certain cultural products — for those who are interested in theorizing the historical beginnings as well as the contemporary effects of this very category religion (and such attendant conceptual pairs as sacred/secular, private/public, church/state, etc. ), these approaches are not nearly as satisfying, inasmuch as they are understood to extend the category by looking for new applications, i.e., religion ends up being found in all sort of unanticipated places. 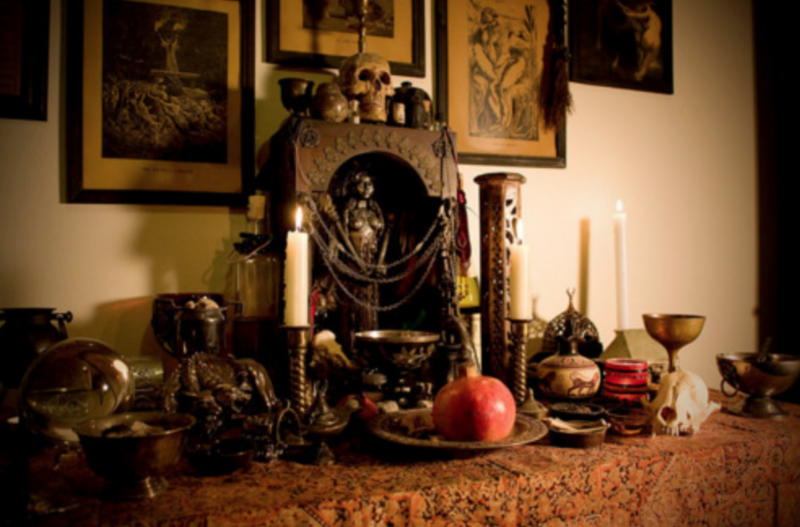 But being able to designate, for instance, a small collection of items in a domestic setting as a “home shrine” doesn’t help those interested in asking just what has been gained by understanding these items as “religious,” in distinction from a variety of other things in the house. For there are those in the field (myself included) who argue that the emergence of the now familiar discourse on religion dates to early modernity when, throughout the region known today as Europe, a variety of experiments in social formation were taking place, when prior modes of organization, rank, and authority were being reconsidered and reinvented (or, better put, overthrown, often by means of bloody conflicts) — making a vocabulary once linked to distinguishing ritual specialists who worked out there in the wider community (the so-called secular clergy) from those who took vows of renunciation and worked strictly within the institution itself (so-called “religious brothers and sisters”) handy in a whole new way. Although past usage surely doesn’t dictate current use, the prominence of the discourse on religion today in modern liberal democracies (such as the manner in which it is often enshrined in constitutions and thereby names a series of closely policed exemptions from state authority) suggests that the social utility of the sacred/secular distinction has not diminished over time. (David Chidester offered us some wonderful examples of its utility on the colonial frontier, by the way.) And so there are a group of scholars in the field today who aim not to find religion in new places but, rather, to examine the effects of making these finds — or, better put, the effects of people making designations that extend the state’s regulatory domain to newfound objects and peoples. For despite coming with certain advantages (such as the exemptions named above), carrying the designation “religion” sets items, practices, and people apart, making it not just an effective tool of social management but a category whose proper domain is the legal system. So, while it may at first certainly seem commendable to find religion in places that were previously ignored, for some scholars there is an irony to such work, inasmuch as — whether intended or not — it also extends, to new situations, a device used in regulating populations and allocating (or withholding) privileges. For though certain benefits likely come with extending its use, other unforeseen implications might also attend its deployment in novel situations (exemplified, perhaps, in how we come to understand the otherwise generic items that we might now gather together as that “home shrine” mentioned above). Although one does not have to agree with this starting point for studying “religion,” given that there is now a considerable body of literature on this topic (to start with, for those new to this shift in focus, consider the following two interviews with Naomi Goldenberg on her work on religion as a term for what might otherwise just be termed vestigial states), this work might at least be worth considering before going looking for more things to classify as religious. For that very designation might come with consequences we had not even anticipated. This entry was posted in Faculty Blog, Relevance of Humanities, Religion in Culture and tagged Category of Religion, Classification, David Chidester, Embodied Religion, governance, Implicit Religion, Law, Lived Religion, Material Religion, Naomi Goldenberg, Regulation, Religion, Religion on the Ground by Russell McCutcheon. Bookmark the permalink.